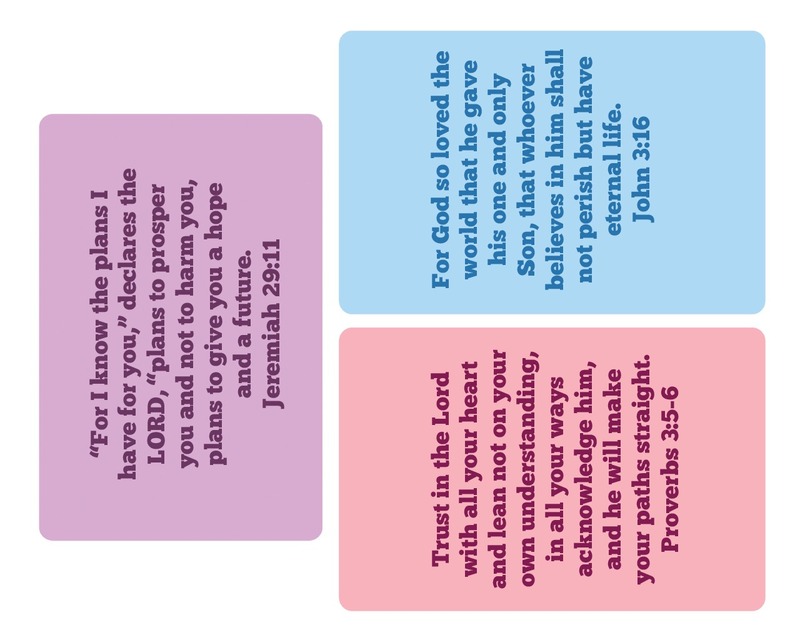 These little memory verse bible cards can be used in many different ways. 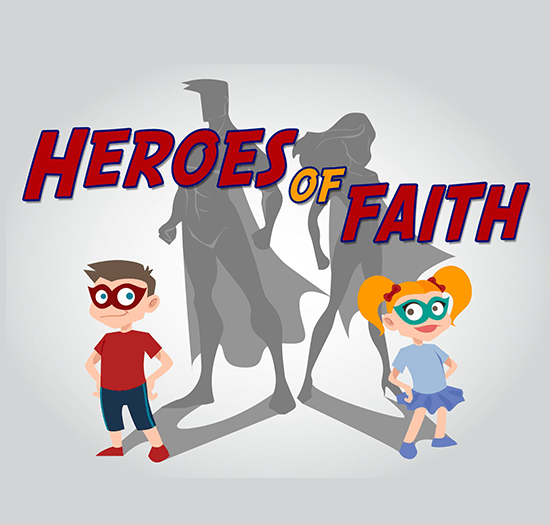 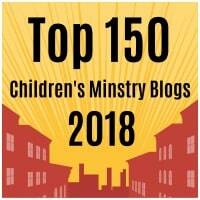 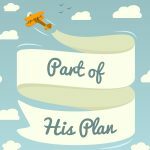 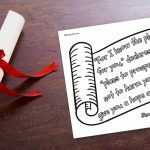 Print them off to help your kids learn scripture or to use in your bible journaling. 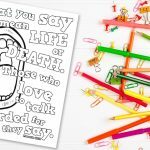 Why not even customize them with glitter and stickers before placing them in bibles to help children remember their favorite verses. 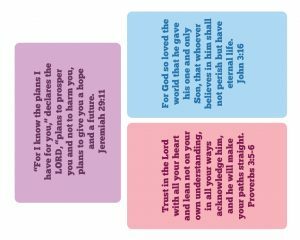 Click here for our free 6×4 inch bible verse cards. 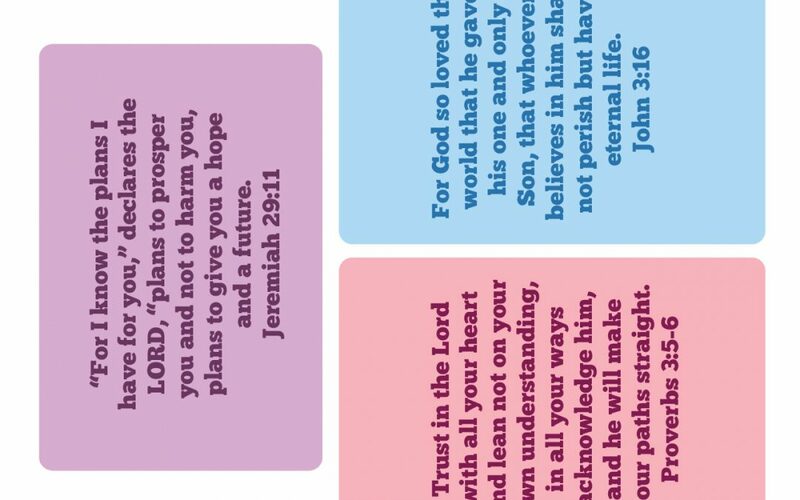 Jeremiah 29:11, Proverbs 3:5-6 and John 3:16.